Call of Duty is arguably the one of the most popular game franchise throughout the world but over the years Call of Duty has deviated further away from the gameplay elements that make it great which have resulted in a lot of backlash from the fans. After Call of Duty: Black ops II, Call of Duty games kept on becoming more sci-fi rather than about actual combat and quite frankly most new games felt like a sci-fi shooter rather than Call of Duty games fans had come to love. Activision has taken Call of Duty games back to the roots in hopes to save the dying franchise which means that no more robots, jet packs or outer space combat. But after all the damage that has been done to the franchise can Call of Duty WWII save the series? The worst point of the franchise definitely came from Infinity Ward that completely converted the game into a Crysis-esque space shooter. Needless to say, that wasn’t what any fan of the franchise wanted which resulted in Call of Duty Infinite Warfare having the second most disliked reveal trailer on YouTube. 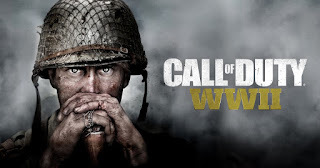 After years of disappointment, fans expect Call of Duty World War II to deliver the “boots on ground” combat that made them fall in love with the franchise rather than more sci-fi outer space combat. Call of Duty Infinite Warfare also had 50% less sales than Call of Duty: Black Ops III which wasn’t that good either. Everything Activision has done has gone against what the players have wanted giving rise to a lot of doubt to whether Call of Duty WWII be different. The final blow came from the immense success Battlefield 1 had thanks to it “staying on the ground” and delivering an exciting, realistic and gore-filled depiction of World War 1 which fans loved. The success of battlefield 1 coupled with the extremely bad feedback and sales seem to have finally put Activision on the right track but is it too late? Will Call of Duty WWII Save The Franchise? Fans – including us – are expecting a lot from Call of Duty WWII and Activision doesn’t have enough space to mess up anymore. Call of Duty WWII is either going to bring the series back to life or bury it once and for all. From the trailers and bits of online gameplay, as of now, we can only assume that Call of Duty WWII will have a narrative driven story campaign and a much larger multiplayer experience than any other Call of Duty game. The campaign looks grittier, violent and hopefully will be an accurate depiction of World War II delivering more depth than generic FPS games. Activision has also added in an entirely new co-op zombie’s campaign that is sure to bring some fans the franchise has lost over the years. Can Call of Duty WWII save the franchise? Considering Activision is finally listening to the fans and giving them the game they want, Call of Duty WWII has everything that it needs to make a great Call of Duty game. Call of Duty WWII will be at E3 2017 and we’ll keep you updated with all Call of Duty WWII leaks, rumors, and release date updates. 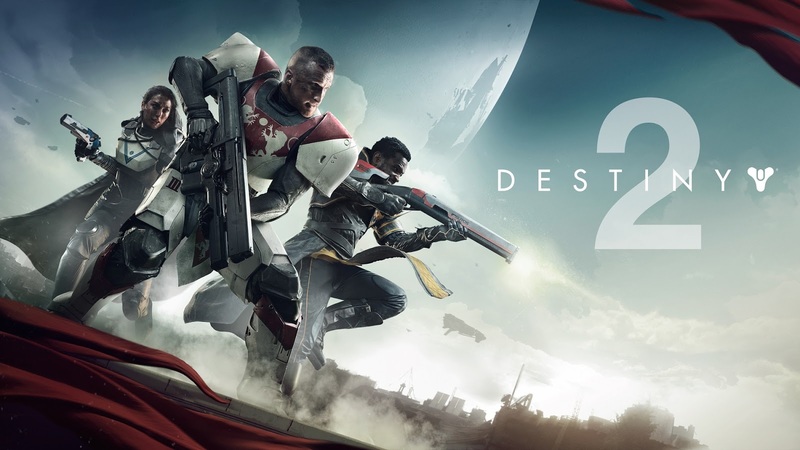 Destiny 2 is making a comeback on the PS4 and Xbox One along with releasing on the PC for the first time which has me gotten really excited! Destiny 2 is bringing a lot of changes to the game and we’re here to let you about all the big changes coming to Destiny 2. One of the biggest changes that came to Destiny 2 was the complete overhaul of the online multiple. Destiny 2 multiplayer gameplay modes like PvP will now require only 4 players! This feels like a great move on Bungie’s end to help the community increase interaction and allow players to make new friends – even if they are shooting at you. Destiny 2 comes with a brand new campaign that is guaranteed to get anyone excited. The Red War campaign will feature a story driven narrative and from what I can tell from the gameplay reveal have an overall darker, have more cinematic, and will finally make the characters likable – hopefully. If you’re someone that was part of a Clan in Destiny 1 then you’ll be happy to hear that Clans are officially supported in Destiny 2! Bungie is making a lot of changes in Destiny 2 to increase interaction between players and help the community grow which is something we all can appreciate. Destiny 2 will also have multiple tools that help you grow and style your clan. A reward system will also be used to distribute awards to every clan member regardless which member wins which makes it more than worth it to join a clan. Even if you don’t want to be in a clan they’ll still matter to you thanks to guided games. Need Someone To Raid With? Bungie has introduced a new feature called Guided Games In guided games which will allow solo players and clans to play together in strikes and raids by using the new guided games feature. You can find what player or clan needs more players to play in raids or strikes and through guided games, these players will be grouped together. The number of times I had to cancel my plans for a raid in Destiny 1 was way too high but with guided games, everyone can finally enjoy Destiny's best content. It is expected heavy penalties will be placed on players that abuse the new guided game feature. According to Bungie, there's a high chance that people that play together might want to join the clan they played with further helping the community grow and interact which is something all of us can appreciate. One of the biggest issues with the original Destiny game was that the world felt rather small and empty. Luckily, Destiny 2 is going to be bigger, better and have a whole lot more to do in the world. The world of Destiny 2 will be filled with treasure maps and lost sectors that will make exploring the world actually fun. There will be a lot more quests and four brand new worlds - Earth, Titan, Io, and Nessus- filled with mystery for you to explore. The best part is that you can take part in all activities without having to go to orbit! Preorder your copy of Destiny 2 PS4 , Xbox One or PC and get BETA early access Now - Out in 8th September 2017. There’s a reason why The Surge is being called the Sci-fi version of Dark Souls which is simply because you die – a lot. 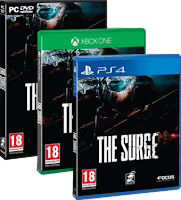 The Surge has become infamous for its Dark Souls like gameplay and many people have pointed out the similarities between Dark Souls and The Surge. 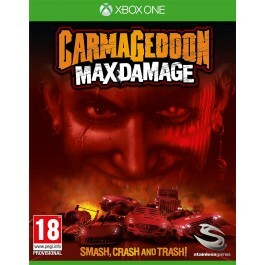 You’ll be facing alien, robots and mutated aliens that can probably take half your health bar with a single attack. To help you out, here are some ways to how not to die in the surge. First and foremost, you need to learn how to time your attacks. Mashing buttons isn’t going to help you take down enemies and you have limited stamina that won’t let your spawn infinite attacks. In the start, the maximum attacks your character can make in succession is 3 – 5 times so making these count is extremely important. If you manage to bring an enemy’s health down by 80% and have at least you’re your stamina then you can pull off an awesome finisher which will leave you vulnerable to attacks from other enemies. If you’re thinking that by progressing in the game you’ll find a piece of armor or a power-up that will make the game a bit more forgiving, then you’re wrong. The Surge will keep grinding you until the very end but that doesn’t mean you can’t take down enemies fast rather you can take down enemies without dying from the get go by targeting their weak spots. If the enemy’s area you’re locking onto is yellow that means it’s armored, if it’s blue it means that it is undefended and takes more damage from attacks. If you’ve ever played a souls game then you know how bad it can get when facing a mob of characters. This holds true for the Surge as well. If you get surrounded by enemies, even if you have to take on two enemies chances are you’re going to die. Always take enemies down one at a time and if you find yourself being pushed into a corner – run as fast as you can. Taking enemies down one at a time means you can focus on getting better armor and gain more experience. I’ll let you know this upfront, better armor doesn’t mean you’ll be able to take down any enemy you want. No matter how strong your armor gets, there will still be enemies that can take out more than half your health in a single attack throughout the game. Getting better armor does raise the chance of survival and lets you take more hits. By farming for materials for the crafting system and an upgrade system in the early game to gain better armor which can make the game a “bit” more forgiving. I can’t stress this point enough but if you want to make it through to the end you’ll have to learn the games mechanics, enemy attack patterns and boss patterns. Learning the enemy’s combo patterns is absolutely crucial unless you want to keep dying over and over again. Unlike Dark Souls, the “hit-and-run” strategy isn’t very effective since most enemies can cover the distance in a short time which is why learning enemy attack patterns is the only way you can make it through to the end. Written by Hitari Editorial Team. Be one of the first to experience Call of Duty: Infinite Warfare with the Multiplayer Beta! 2. Visit www.callofduty.com/beta and log in or create an account to redeem your Beta Access code. Make sure to select the gaming platform you plan to play Call of Duty: Infinite Warfare on and the region you plan to play in. 3. After redeeming your Beta Access code, more detail will follow on how and when you can access the Beta. To ensure you receive updates on the Beta please double check your email address and make sure it is up to date in our system. To check or make changes to the email address you have registered with Activision please visit your Call of Duty profile here. Beta startsOctober 14, 2016 on PS4™ system; Xbox One to follow. Actual platform availability and launch date(s) subject to change. Beta not available on PC. See www.callofduty.com/beta for more details. Minimum Beta duration is 3 days. Limited time only, while beta codes last, at participating retailers. 1. Create an account on your PSN-enabled PlayStation®system (or use your existing account). 2. Select the PlayStation®Store icon on the PS4™ system Home Screen. 3. On PlayStation Store, select ‘Redeem Codes’ at the bottom of the menu on the PS4™ system. 4. Enter the code. Please note that the code is case sensitive and must be entered exactly as displayed. 5. Once the code has been entered correctly, select ‘Continue’ on the dialog box from the PS4™ system. 6. Select ‘Download’ to start downloading the content. 7. Select ‘Continue’ to complete the code redemption on the PS4™ system. 1. Open an account on the PlayStation®Network (or use your existing account). 2. From the PlayStation Network icon on the XMB™, select ‘Account Management’. 4. Enter the above code. Please note that the code is case sensitive and must be entered exactly as displayed. 5. Once the code has been entered correctly, click ‘Continue’. 6. Once you accept the terms, you will be taken to the download screen. Need a Microsoft® account? Make one for free at live.xbox.com. 1. Connect your Xbox 360® to a broadband Internet connection. 2. Press the silver/green Xbox Guide Button on the controller. 3. Select Create Profi le & follow instructions to create profi le name & avatar. 4. Select Join Xbox Live® & follow instructions to setup your Microsoft® account. 1. Sign in to your Microsoft account. 3. Navigate to Games tab. 4. Select Redeem Code & enter code. Codes can also be redeemed at live.xbox.com. FOR TECHNICAL SUPPORT, PLEASE VISIT https://help.ea.com. Is Pokemon Go Causing Fatal Harms? Pokemon Go is a highly addictive and attractive mobile game for all iOS and android users. This is a really interesting game that makes you travel between the real world where you live and the virtual world of Pokemon in order to find as many Pokemons as you can. Basically, this makes you forget the difference between reality and appearance. Wow! You look into the real settings but through your mobile screen. After all, you cannot find Pokemon out of your device. The setting may be real but Pokemons are never so. So, while you search for the Pokemons in various locations like water, road and forest, you don’t actually look into them resulting in unimaginable situations. For example, there was one player who found a real dead body while looking for a Pokemon in water! Is the aim of the game to get you gifts like that?! As Pokemons approach nearer, your smart phone will vibrate to let you know. Once you've encountered a Pokemon, take aim on your smartphone's touch screen and throw a Poké Ball to catch it. Be careful when you try to catch it, or it might run away! Also look for PokéStops located at interesting places, such as public art installations, historical markers, and monuments, where you can collect more Poké Balls and other items. The game does not show you the location of each character, you will just have to walk around and find them. However, there have been a few websites popping up recently that revealed all the Pokemons locations such as PokeVision and Poke Radar which the makers of PokemonGo are understandably unhappy about and looking to get them shut down soon! Undoubtedly, after the game came into being, it won million hearts and a huge number of fans started installing the game in their mobiles. But, at the same time, we cannot ignore the incidents that this addictive game caused. There are reports of players getting tracked by criminals and robbers and coming to know about it only after they lost their valuables. Similarly, there are cases of road accidents while players tried crossing the road fully engrossed in the game. Hence, while creating interest on one hand, this addictive game is leading to so many fatal consequences. So, who will take the responsibility of the harms brought about by this game? Therefore, should it be banned? Well, this is a million dollar question the answer to which is too tough to work out. Whatever may be the case, because of the great craze of this game, new 3DS Pokemon games will be launched this year namely Pokemon Moon Nintendo 3DS Game and Pokemon Sun Nintendo 3DS Game. Both of these role-playing video games are certainly the biggest release heading the 3DS Games titles this year with an unimaginable hype of fans and trends. Nintendo has also announced that the game will include for the first time nine languages and also there will be a ‘fan edition’ that includes steel-book cases, a collectable item for all Pokemon lovers to look forward to. Yet, these new games will not include the dangers that are looping behind the PokemonGo Game as these are a story setting role-play games on Nintendo 3DS Consoles and there will also be a special limited edition Pokemon 3DS XL Console released at the same time in November 2016. As a fan of all Pokemon series I can not wait to welcome these Pokemon Sun and Moon new to the series with open arms although some might have some reservations which we will discuss another time! 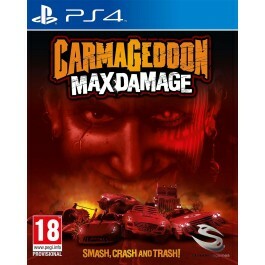 If you already have a Carmageddon.com account, login and move to step 5. 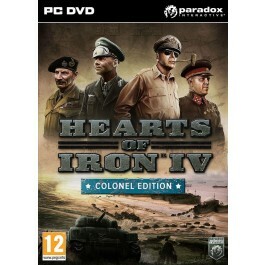 Hearts of Iron IV Colonel Edition Release Keys Update! This is an update regarding the Hearts of Iron IV Colonel Edition PC and its release keys. Due to German law, the one available is a censored version of the game for German customers. How does this affect the keys you already purchased? The keys that you have are open world wide and will work in all countries expect Germany (exception to any region activation locked keys that you might have, which will only be activated accordingly to the region it is locked to). What's Wrong with Virtual Reality (VR) Headsets?! Virtual Reality is closer than ever and is introducing new and developing technology advancement. It has been trying to make our fantasies as real as a computer can do while standing or sitting making us feel that we really are in this world, and we really are doing this and that. Scientists have been working on developing the most realistic simulated worlds using virtual reality technology. A requirement for such environment is a computer that will be able to project a 3D world that looks as real as possible. The programs should also be able to track user's movements to adjust to the environment accordingly in order to give the user the feeling of total immersion into the virtual environment called telepresence. Telepresence is the standard measure of virtual reality that will give users the impression that he is no longer in his own world thus giving the VR experience. 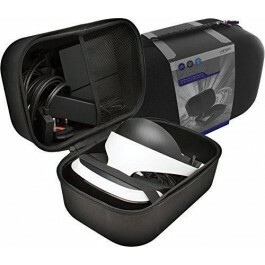 Virtual Reality headset or goggles are the most common form of VR devices that looks like a visor that wraps entirely around the normal field of the user's vision. It then projects a three-dimensional world replacing what the user would normally see. When users tilt their head or move their body, the display will also move to match the user's movement, creating the illusion to the user that he or she is actually inside that virtual world giving them the VR experience. In virtual reality headsets or virtual reality goggles, the quality of the display is vital. 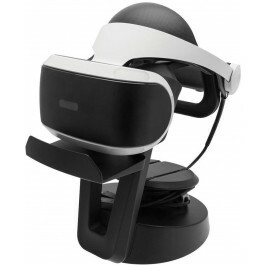 A good VR system should have an excellent image resolution and high sound quality which will give users an outstanding experience with VR headsets. Scientists are also developing a Virtual Reality feature called Haptic systems that lets the user touch a virtual feedback. A great example would be virtual tennis tournament, in this game the user can actually feel that he or she is holding a tennis racket. Computer and video games have been the focus for developing VR's, and we are now starting to feel and see its development. Since the early years, developers have been trying their best to create computer and video games with high graphics that will give players the feeling that they are in the game. There are more and more games being developed in a high-quality image that can be entirely played in VR that lets players experience the game more realistically. The Sims, a popular game all over the world allows users to have a virtual life in which they can control everything and be successful. 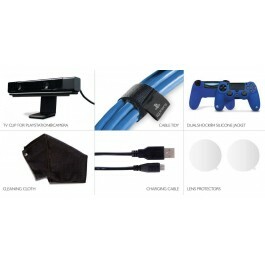 There are also games that allow players to interact with the virtual world with the use of other devices. An entry level VR Headsets is now available on Hitari website iCandy Virtual Reality Goggles that will let users feel like they are fighting someone or shooting someone in front of them. The icandy virtual reality goggles have a 163mm wide and 83mm high screen size that is compatible with IOS phones and Android phones that can load vast amount of games from the app store and Google play making it easier to choose and download games. It is lightweight that lets user have realistic simulated environment experience. With the rising of virtual technology, most people especially parents’ fear that their children develop some negative social effects of VR, and some argue that VR may bring people much closer to the world. The problem is even today, almost all young people that share both physical and virtual communities’ uses smartphones and devices to keep in touch. Virtual reality goggles have their own advantages and disadvantages like any other devices being invented; we just have to make sure that we can balance reality from a virtual world. The positive thing about virtual reality headset is, players don't just have to sit all the time while playing, VR headsets let users play while standing and moving their body. A VR if used correctly and professionally can help children development by reacting to their actions. People with anxiety and depression can also use virtual reality headset to help them relax and get positive energy. Employees that are living in different countries can also use it for work by wearing it during a meeting or conference, giving them the feeling that they are in the actual venue and making communication much easier. With these capabilities, it will not be impossible to create products virtually and change them without building and scraping it.